Many investors and market participants agree that the inclusion of an independent third party “Deal Agent” can strengthen transaction governance, increase transparency and potentially increase liquidity. Investors have concern that asset performance, rep and warranty breaches and overall transaction oversight will go unchecked without a “deal agent” acting in the best interest of the investor. BPA can be the independent deal agent with fiduciary duties and oversight responsibilities. BPA has extensive experience representing investor interest in numerous engagements where it has exercised its deal agent role with a heightened care and loyalty. In most cases, there is more than enough data, but not enough actionable information. BPA monitors loan portfolios as the Deal Agent by providing usable information that concisely and succinctly tells the performance story. If this performance illustrates problems or potential issues, BPA can dive in to provide more information on which to take action steps. How do you proactively manage your investment risk? Is there an independent third party monitoring and acting on issues on your behalf? Could the transaction oversight be better? Do you find out bad information after it has happened? 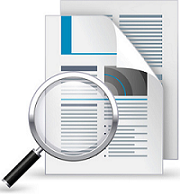 Are you digging through piles of reports to obtain insightful information about your investment?